Goon RDA is a 24mm atom with a post-clamping system (gold plated at 24k), in the sector it is the only one to use it, this makes the creation and use of any build, of any dimension really simple even for less experienced vapers. The stainless steel Deck then guarantees a drop voltage at the lowest levels. 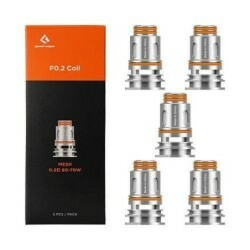 The outer body of the RDA Goon in brass and copper steel can be of different basic plating, Black, Steel, Gold and Copper. The Goon RDA 24mm is supplied with the BF pin.